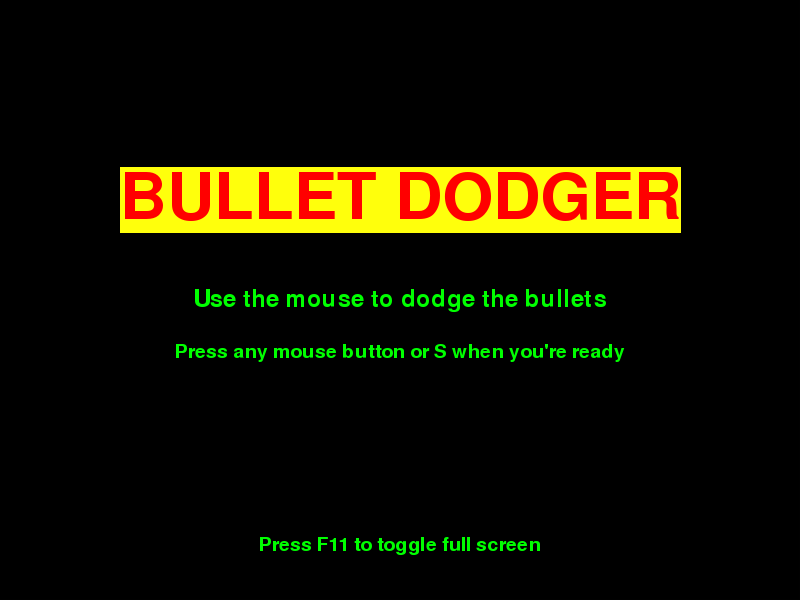 Fun and challenging mouse game where you must dodge bullets. How many points will you get? 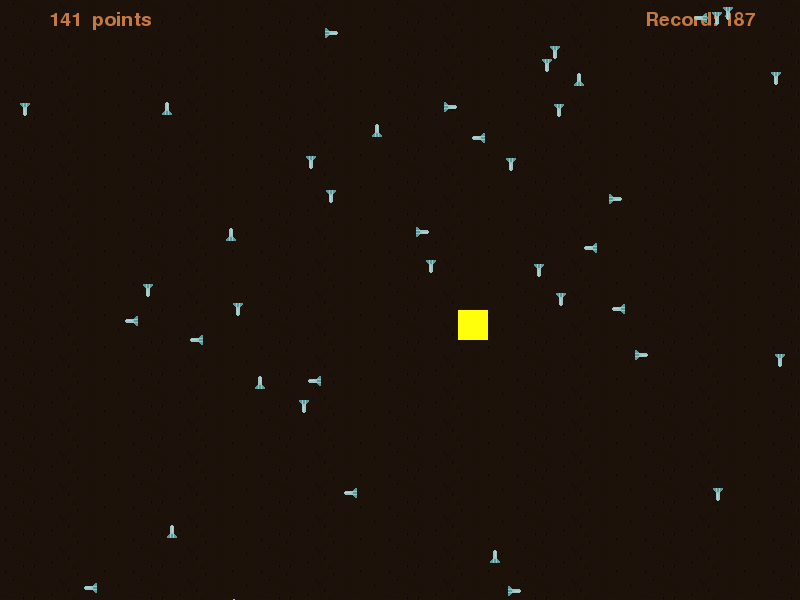 This game requires Python and [pygame](http://pygame.org/). You can install the game using pip: pip install bullet_dodger . Once you have installed the game successfully with pip, you can run it executing bullet_dodger . Use the mouse to control your character. Press any mouse button to teleport to a random location. This game is free software. It uses the [GNU General Public License, version 3](https://notabug.org/bullet_dodger/bullet_dodger/raw/master/LICENSE). The licenses of music, artwork, sounds, etc. can be found in the file [ATTRIBUTIONS.md](https://notabug.org/bullet_dodger/bullet_dodger/src/master/ATTRIBUTIONS.md).